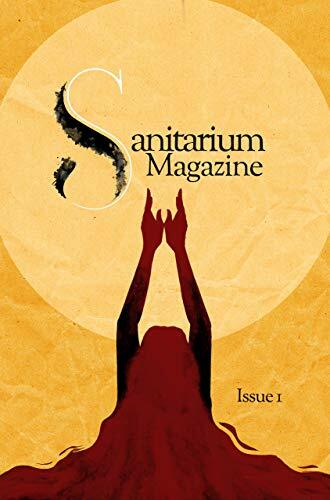 I'm so excited to kick off 2019 with my short story, Just to Keep You Close, appearing in the first issue of the resurrected horror fiction magazine Sanitarium. Like many horror fans I was devastated when it was forced to go on hiatus and now, fast forward a few years, it's back! This is a magazine I quickly fell in love with and it introduced me to a lot of horror authors who have now gone on to make a big name for themselves. The first issue is available now on Amazon in e format and should be available in paperback in a few days. 5.0 out of 5 starsWell worth your time if dark fiction is your thing. The re-issuing of Sanitarium starts off with an impressive bang. The opening story, "Just To Keep You Close" by S.J. Budd had me literally itching my skin, because...well you'll have to read it. I've always enjoyed horror that builds an atmosphere for the reader and many of the stories do this very thing. It's even more impressive when the editor(s) can take voices from a collection of authors and yet create a natural flow from one selection to the next. Great work and worth the wait.